This dataset contains information about travel sensors in Austin, TX.  Travel sensors are owned and operated by the City of Austin Transportation Department and are used to monitor traffic conditions across the city. Radar traffic counts related to this dataset with the 'KITS ID' value of a wavetronix travel sensor. Each row in this dataset represents one Bluetooth enabled device that detected at two locations in the City of Austin's Bluetooth sensor network. Each record contains a detected device’s anonymized Media Access Control (MAC) address along with contain information about origin and destination points at which the device was detected, as well the time, date, and distance traveled. How does the City of Austin use the Bluetooth travel sensor data? The data enables transportation engineers to better understand short and long-term trends in Austin’s traffic patterns, supporting decisions about systems planning and traffic signal timing. What information does the data contain? Each row in this dataset represents one Bluetooth enabled device that detected at two locations in the roadway network. Each record contains a detected device’s anonymized Media Access Control (MAC) address along with contain information about origin and destination points at which the device was detected, as well the time, date, and distance traveled. The traffic summary records contain aggregate travel time and speed summaries based on the individual traffic match records. Each row in the dataset summarizes average travel time and speed along a sensor-equipped roadway segment in 15 minute intervals. Does this data contain personally identifiable information? No. The Media Access Control (MAC) addresses in these datasets are randomly generated. This dataset contains aggregate travel time and speed summaries based on the individual traffic match records from the City of Austin's Bluetooth travel sensors.. Each row in the dataset summarizes average travel time and speed along a sensor-equipped roadway segment in 15 minute intervals. This dataset contains line features which represent travel segments connected by the City of Austin's bluetooth travel sensor network.